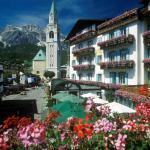 Cadore is a region in the mountains of Veneto, famous for its many beautiful sights and attractions. 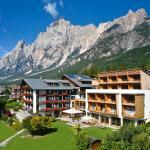 Cadore is in the upper part of the province of Belluno, in the middle area of the Dolomites. It offers everything that tourists and sports enthusiasts can ask the mountain: slopes of downhill skiing, skiing, tobogganing, skating and countless paths and walking trails in summer. One of the most renowned landmarks in the area is definitely Selva di Cadore, in Val Fiorentina, but the valley begins near Cortina d'Ampezzo, then going up to San Vito di Cadore, Borca di Cadore, Valle di Cadore, the quaint old Venetian-style palaces, Pieve di Cadore, Aronzo di Cadore with the area of the Three Peaks of Lavaredo and Lake Misurina, and then up to Santo Stefano di Cadore and Sappada with its 20 miles of trails for downhill skiing and 15 km for cross-country skiing. The Cadore region includes also the ski resorts of Santo Stefano di Cadore and SappadaAgordo, Falcade and Alleghe, the Civetta and of course, the Marmolada. 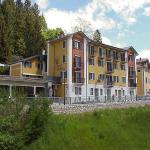 The area of Cadore is so large that the choice of hotels, farm holidays, resorts, apartments, residences and so on, is very large, diverse, and also cheap. 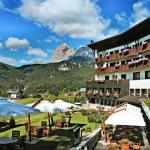 3 and 4 star hotels in Cadore offer skiing holidays at affordable prices. 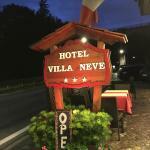 Select travel dates and find all available hotels in Valle di Cadore, check out guests reviews and locate properties on Valle di Cadore city maps, book your favourite accommodation with no pre-payment. All rates are in Euros and inclusive of all taxes.